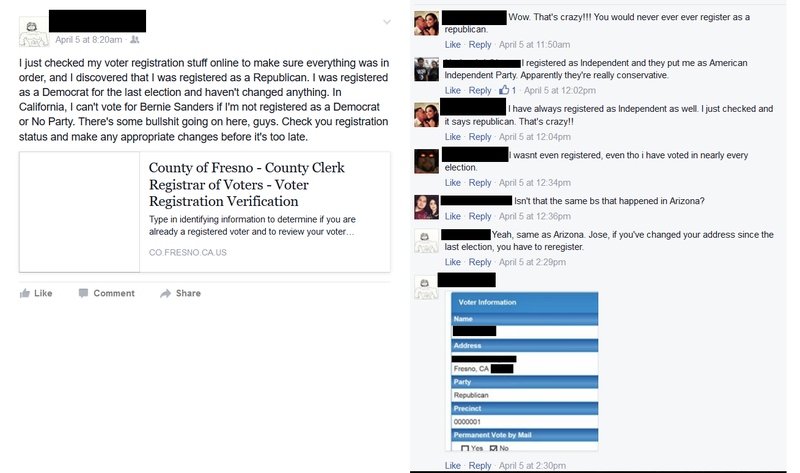 Contacts have been complaining about some issues with voter registration in California, and this is worrisome. Important to remember is that the California is a closed primary. This means that you must be registered as a member of the party in whose primary you intend to vote. Some are complaining that their party has been changed to the opposite or to Independent status, while others say their registration has been wiped out entirely. 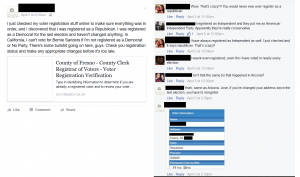 The California primary is June 7, and it would behoove you to double-check your registration status before then.